Is your website traffic travel oriented? Are you a Pro in online travel products? And what about Car Rentals? Your visitors are ready to pay you for it! Advertise with Booking Group Affiliate Program on your website and start earning money right away by driving traffic and converting visitors into sales. With our competitive conversion rates you’re guaranteed to get the referral commission from any booking. Booking Group Affiliate Program is easy to set up and free to join. Get up and running today! The program is a branch of the best web search for rental cars worldwide on your website. Great extensive choice of Banners, Links, and Whitelabel Search Box Widgets. Flexible website integration. 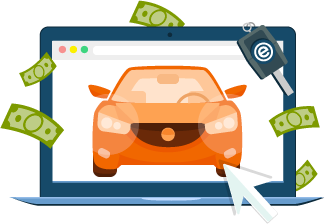 We set the highest commission rates in the Car Rental Industry For the top-performing affiliates — Special Bonus Conditions! Track online statistics in order to know exactly how much you have earned. Bloggers and beginning publishers choose TravelPayouts to promote top brand advertisers and earn a better income. The low payout level together with multiple travel product combinations and transparent statistics make it an easy and attractive way to make money and receive revenue from each sale. We recommend the In-House EconomyBookings Affiliate Program for experienced high-performance publishers, online travel aggregators and car rental agencies. Our white label product proved itself as a great service for making money by monetizing websites and growing your current affiliate program.